Johnny Ard went through a rough patch in summer 1990 with AA Orlando, but Ard's manager Ron Gardenhire knew what the problem was, according to The Orlando Sentinel. And Ard fixed it, at least for one night. Against Chattanooga in late July, Ard gave up five hits and one walk, after a stretch where he gave up 16 walks in three starts, The Sentinel wrote. "He was getting lazy in his delivery and dropping his arm down," Gardenhire told The Sentinel. "For Johnny to be successful, he has to stay on top, and tonight he did just that." Ard, a top pick for the Twins, went on to be traded for a top reliever. But there was another problem with Ard's pitching that couldn't be as easily fixed as his throwing motion. Arm pain and surgeries limited his career to six affiliated seasons, Baseball Weekly wrote, before one last comeback attempt in the Prairie League in 1996. 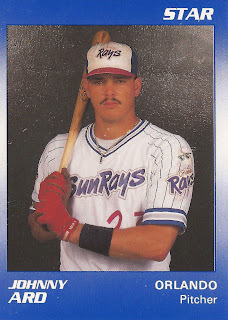 Ard's career began in 1988, taken by the Twins in the first round of the draft, 20th overall, out of Manatee Junior College. Ard split that first year between rookie-league Elizabethton and single-A Kenosha, going 7-1, with a 1.69 ERA between them. The performance had Gardenhire predicting Ard might make it to Orlando in 1989. Ard spent that year, thought at single-A Visalia, racking up a 13-7 record and a 3.29 ERA. He made Orlando in 1990. Ard started off slow with Orlando, getting hit for four runs in four innings in a April 10 game. Pitching coach Gordon Heimueller told The Sentinel Ard "was not finishing off the hitters." Still, Orlando came back for the win. By April 15, though, Ard pitched better, giving up three hits in seven innings for an Orlando win. In an April 25 game, Ard went another seven innings, giving up six hits, one a two-run home run in a 15-2 win. "Johnny Ard threw the ball very well," Gardenhire told The Sentinel after that game. "Even that two-run homer was OK. With a nine-run lead, you want to see them (pitchers) going at the batters." Ard didn't get his first loss until May 11. He finished the year 12-9, with a 3.79 ERA. It was good enough for the Giants to take notice, sending former Cy Young winner Steve Bedrosian to the Twins in return for Ard and a player to be named. "We're excited to get a prospect with the potential of Ard," Giants President Al Rosen told The Sentinel. "We like the kid's makeup on the field, as well as his character." With the Giants system, Ard played 1991 between AA Shreveport and AAA Phoenix, going 12-8 between them with a 3.99 ERA. In 1992, he went 5-8, with a 4.46 ERA for Phoenix. 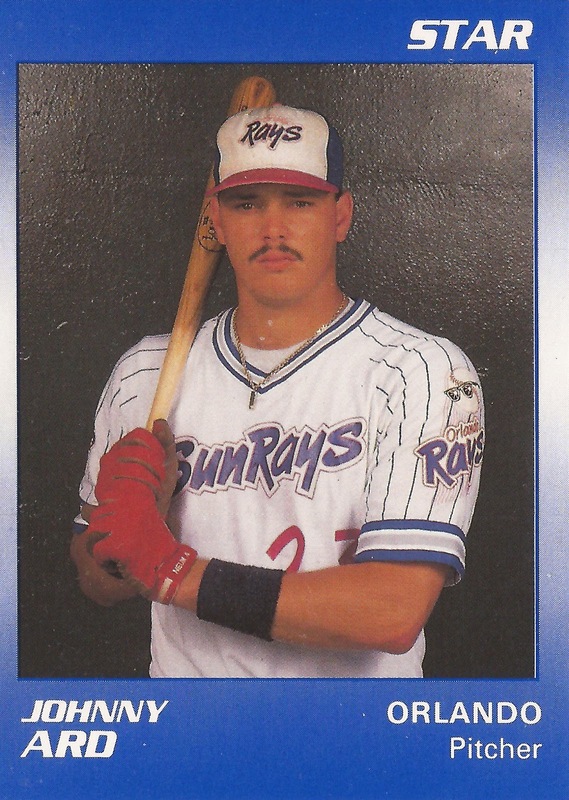 He only got into three games in 1993, for AA Shreveport, ending his affiliated career. The problem was injuries, Ard told Baseball Weekly in 1996, suffering tendinitis and undergoing surgeries. Ard believed it was something else. "I knew it wasn't tendinitis, though,'' Ard told Baseball Weekly. "That gets better with time, and this didn't." Ard took one more shot at playing in 1996. He spoke to Baseball Weekly as a pitcher for independent Aberdeen of the Prairie League. He went 9-4, with a 3.38 ERA, ending his playing career short of the majors.